" Since constant changes take place in these various matters, nothing very definite may be stated about them here". 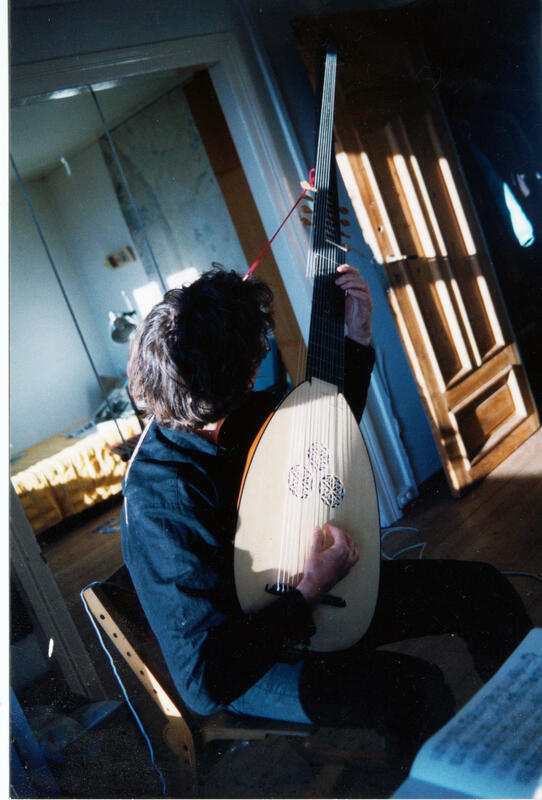 Praetorius (1619), considering the theorbo. It has always been difficult to define the differences between theorbo, chitarrone and archlute. At Pretorius` time it was constantly changing as quoted above, even Mersenne (1637) was confused! 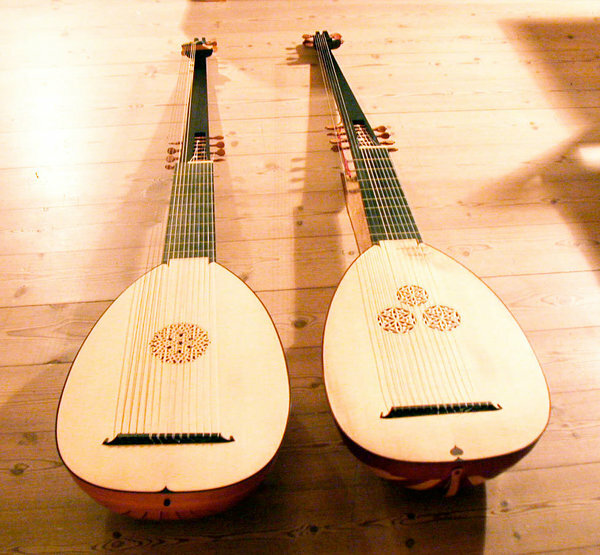 Between ca 1580 and 1700 there is a wealth of lute instruments with neck extensions and two heads that is just called "theorbo" in modern language. To sort out your needs, bear in mind the different tunings and style of musical expression you will find in the music score and sometimes in the composers instructions. I strongly recommend if you have not read it already, the article "Chitarrone, Theorbo and archlute" by the late Robert Spencer, Early Music oct. 1976. 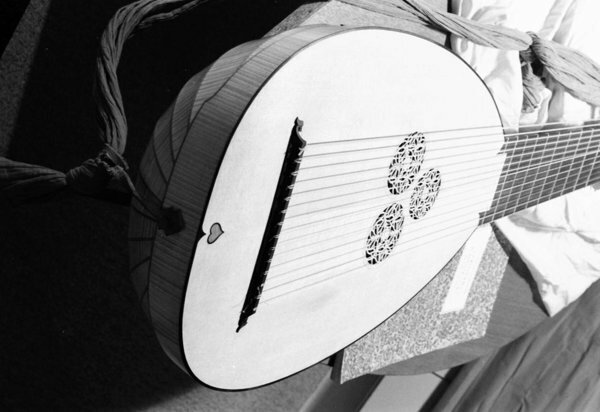 Without going in detail here discussing different geographical practices in Italy, England , Germany and France , these matters have in recent history boiled down to a question of two instruments, one for solo repertoire and one bigger for continuo work. 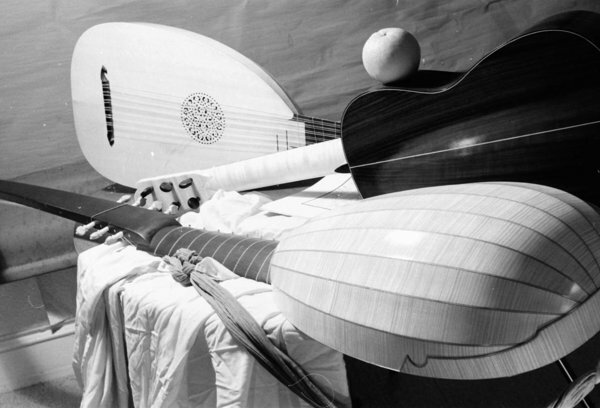 As a practical solution one may even be tempted to think one size fits all, but choosing a small instrument, one deviate from the aesthetic reason behind supporting the tenor voice with a large sonorous bass string instrument with subtle qualities. We know that historically correct performance practice challenge this assumption and I will gladly serve your needs building a variety of models such as the large Buchenberg chitarrone. Photo of some instruments I have made of this model. SL 76/125 cm tuned in a. Neck: ebony veneer on spruce core. This is my most popular model and is made in various materials for the ribs through the years. 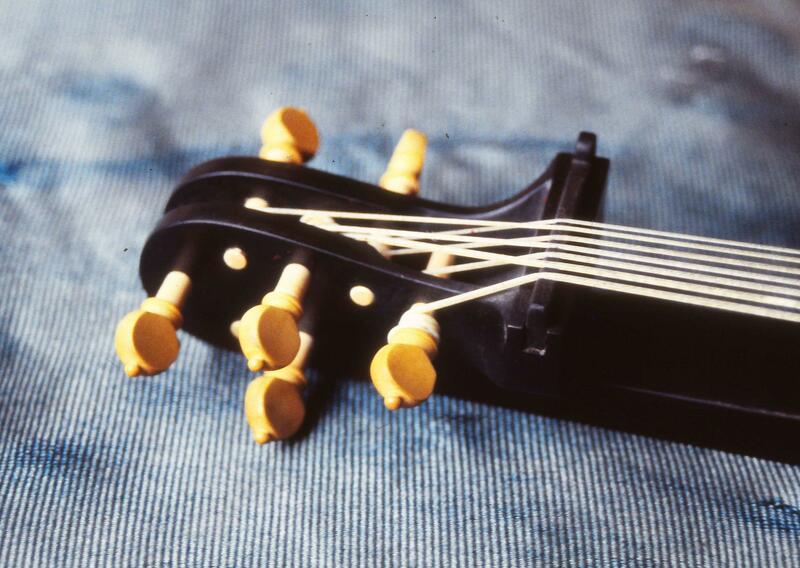 Note: The authenticity of using 7 stopped strings may be argued and is a modern practice. The 7 th may be omitted for historical correctness. 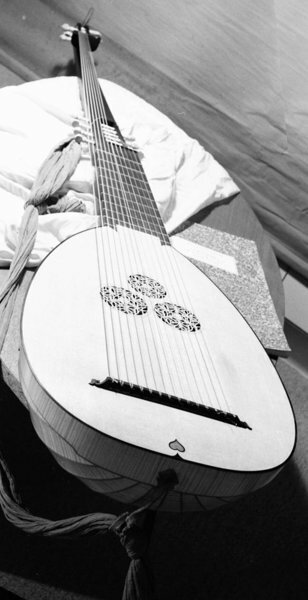 resonant and has a good weight balance due to thoughtful construction and choice of materials for the neck extension. keep one for their students to use.